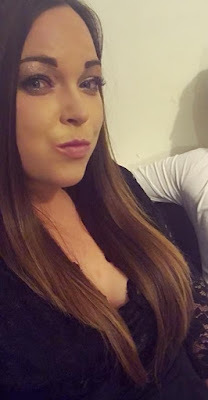 If you've been a reader/visitor of Unique Young Mum for a while, then you may already know bits about me from past post I've done - so you may of read the title of this post and thought not another one!? However I suppose it's always good to refresh one's memory and every one of these posts has different questions! PLUS there's also the chance that I may have some new readers/visitors who would like to know more about the blogger behind the scenes - wishful thinking ay!? My most recent picture - taken on the 18th of May 2018. I started Unique Young Mum as a hobby back in August 2012 to try and stop the stereotypical views on teenage parents, I had my son when I was 15 years old and was sick of the stigma attached to teen parents. Unique Young Mum quickly become not just a hobby, but a job too - and the best job I've ever had may I add. 2. Is Your Blog Your Job? If Not, Do You Work? I'm very proud to say yes my blog is my job, I was fortunate that it kind of happened overnight, one minute it was a hobby, the next it was much more than that, it quickly became my job, and second baby! As well as blogging/writing, I also ''work'' or shall I say volunteer for a local homeless community group - I'm the person behind the scenes sorting out the cold foods and drinks on a weekly basis, as well as just taking up the PR and Media manager role. My son and parenthood without a doubt, from the minute I discovered I was pregnant, I knew it was going to be a tough journey, not because of myself but because of others and their stereotypical views. I know I broke my parent's heart announcing at the age of 15 I was going to be a parent, but I now know they couldn't be any prouder of me and the woman I am today. I don't regret one minute of it, my son made me the woman I am today, he is 12 years old and the last 12 years have been the best years of my life. It's a tricky one, but I'm going to have to say either the Caribbean or America. The Caribbean for their beautiful beaches, scenery and weather, and America for Disneyland, their food and tourist attractions! Mind you, if we're talking Disney, then I'd be happy to go to any Disneyland - I'm still waiting for the day the UK gets one! 5. Where's The Most Beautiful Place You’ve Ever Been? Cornwall, it's like another world in itself! The beaches aren't something you can imagine seeing in England, and the scenery for miles is just beautiful! Dogs are allowed in shops, including eateries and clothes shops, and many places even have water bowls outside for dogs, dogs are amazing, and humans who love dogs are nearly just as amazing as dogs so yeah, Cornwall gets my win! 6. When You’re Having A Bad Day, What Do You Do To Make Yourself Feel Better? It totally depends on what you mean by a bad day, sometimes I'm in that mindset of 'this is a bad moment', a few bad minutes in a whole day doesn't warrant the whole day to be a write off does it? In the case of having a bad moment, I'll take a few minutes to just relax my eyes and think about happy times, or something exciting that's coming up. If I've had a bad day as in problem after problem, there's nothing better than an hour long soak in the bath, your favourite music playing, and maybe a bar of Galaxy chocolate to divulge in! 7. What's Your Pet Peeve? Dog hair - as much as I love my pooch, the dog hair sends me up the wall! 8. What’s The One Food You Could Never Bring Yourself To Eat? A holiday rep! I loved and still do love dancing, and it looked so great as a child! As I got older and into my teenage years I realised the work was a lot for little pay! 10. What's Your Favourite Day Of The Week? Sunday - roast dinners, home comforts and Disney movies, need I say more!? 11. If You Could Shop For Free At One Store, Which Would You Choose? Asda - you can pretty much get everything from there! 12. Who Is The Kindest Person You Know? Apart from my son, it has to be my dear and lovely friend Amy White, she's not been in my life the longest, but I hope she'll be in my life forever, we need more people like Amy in the world, she's kind, passionate, caring and a superhuman! 13. What's Your Most Embarrassing Childhood Memory? Falling over in front of Blazin Squad (at least some of the band members) at Thorpe Park when I was 13 years old. I cringe every time I think about it! I was the 'ultimate' fan but at the same time their most embarrassed fan! 14. What's Your Favourite Ice Cream Flavour? Mint chocolate chip, and failing that - cookies and cream! 15. Using One Word, How Would You Describe Your Family? 16. What's Your Favourite Hobby? Its hard to pick between the two, but I love writing and I equally love baking, however baking comes with a huge tidying up because cocoa powder and flour goes everywhere! 17. Do You Have A Favourite Accent? Yes - Irish! It's so beautiful, I swear I could listen to Irish people all day long just for their beautiful accent! 18. What's Your Favourite Quote and Why? ''The best view comes after the hardest climb''! Like many of us, I've hit difficult times in my life - relationship breakdowns, dreams being 'shattered' and even feeling like the devil has won. I strongly believe we're only dealt with situations we can handle, even if we sometimes think we can't! My son - without a doubt, he's the reason I push my targets, goals and dreams, he's the reason I carry on with obstacle courses when I just want to give in and quit, he's the reason why I started Unique Young Mum, and he's the reason why my heart beats. 20. Last But Not Least, If Someone Was Reading Your Answers, But Feeling Low About Their Own Lives, What Would You Say To Them? First of all, I'd tell them you're not alone, no one - me including is perfect, I don't share every single aspect of my life on Unique Young Mum, sometimes I share the good, sometimes the bad, and a lot of in-betweens. Secondly, I'd encourage you to do something you enjoy - it doesn't have to cost money, even reminiscing about happier times can bring us some positivity, or maybe singing your head off, singing along to your favourite songs, or maybe even just taking a nice long soak. Last but not least, I'd tell them to reach out, reach out to a friend, a family member or even a stranger, someone will be there to listen and talk, even if you don't think there is! There you have it, 20 questions and answers all about me, the writer behind the blog! I hope you've enjoyed finding out even more about me! As ever, please do feel free to leave a comment.